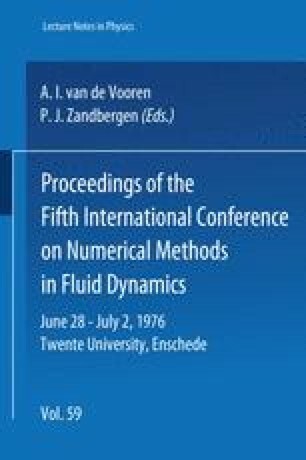 The perturbated primitive variables method seems to be a powerful mean for simulation of physical phenomena arising in Fluid Dynamics. Using this method, non linearities in laminar separated flow are studied between periodically varied walls. Results of computation permit the study in detail of dynamic, energetic and kinematic characteristics of this phenomenon. Now at School of Technology , Aristotelian University of Thessaloniki , Thessaloniki , Greece.